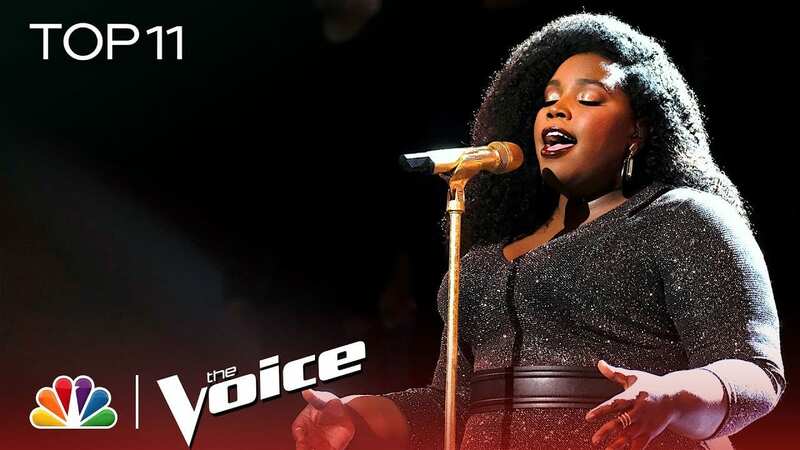 With her impressive vocal range and soulful sound, Team Kelly’s Kymberli Joye has been a standout performer on “The Voice” ever since her initial blind audition. With parents as pastors, the 26-year-old contestant has had Christianity ingrained in her roots, but nothing brings her faith to life quite like worship. Bringing judges to their feet and audiences members to their knees, Joye undoubtedly took “The Voice” audience to Church with her goosebump-raising rendition of this popular Christian song. Check out her unforgettable performance of “Break Every Chain” below! Team Kelly’s Kymberli Joye performs “Break Every Chain” during The Voice Live Top 11 Performances.